The executive director of the Contemporary Art Center of Virginia is leaving to run a larger museum in Memphis, Tenn.
Cameron Kitchin, after six years at the Oceanfront-area fine-arts center, will direct the Memphis Brooks Museum of Art. His last day is Oct. 31. "We're disappointed," said Randy Sutton, chair of the board of trustees at the Beach center. "We wish him the best. He's going to a great museum." The Memphis Brooks Museum has a wide-ranging permanent collection of about 8,500 works, from Auguste Renoir to Frank Stella. It stages special exhibitions and has a strong educational outreach program. The museum has more than 60 full-time employees, a $5.2 million budget and 36,600 square feet of gallery space. 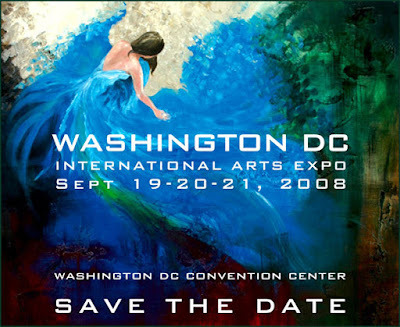 The Washington DC International Arts Expo is coming to the DC Convention Center next month, the hard work of artist Lisa Jones and The Collective. This will be the second year for the Expo and over 100 artists and galleries from around the country are expected.